These 2 Bollywood songs will rule 2019 Weddings! New star kid on the block, Sara Ali Khan is already making waves due to the trailers of her upcoming movies. 2 songs- Sweetheart and Aankh Maarey have caught our attention and all for the right reasons! 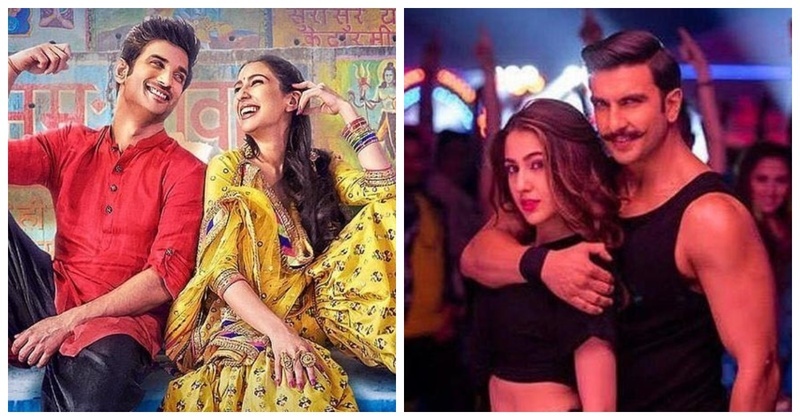 These peppy songs will definitely be the ones to be the played the most in every 2019 sangeet! Another remix in town, but this time it is good! The beats make you groooove and if nothing else, Ranveer Singh’s biceps definitely will! All you 90’s kids, be ready to break the dance floor on the new Aankh Maarey! Calling out to the every Govinda and Ranveer Singh out there! The song is just as sweet as the name suggests. A good dedication to your sweetheart, don’t you think?